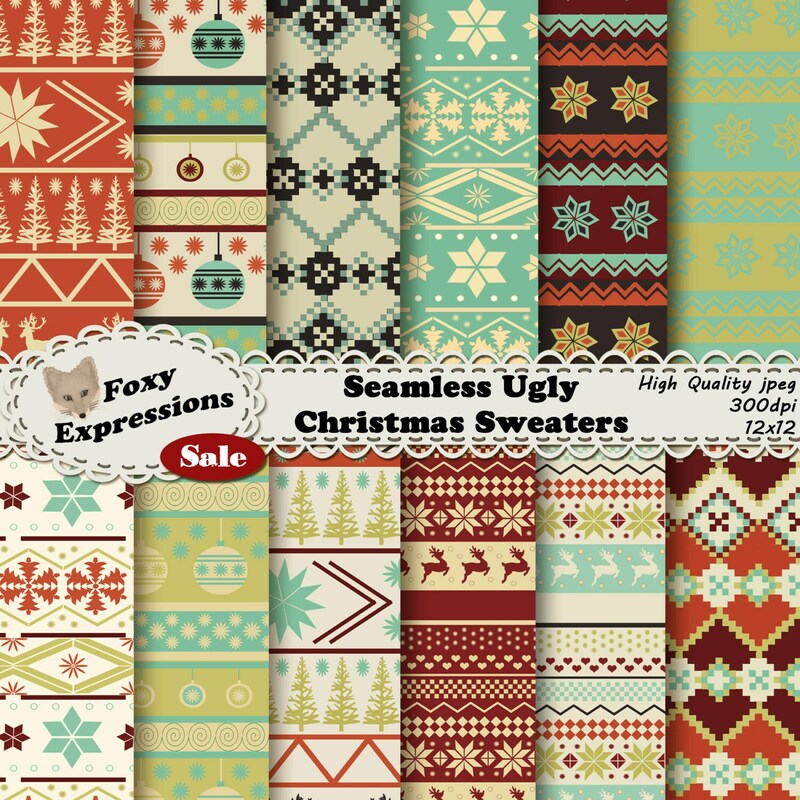 Seamless Ugly Christmas Sweater Digital paper pack comes in shades of green, blue, cream, reds, black and orange. 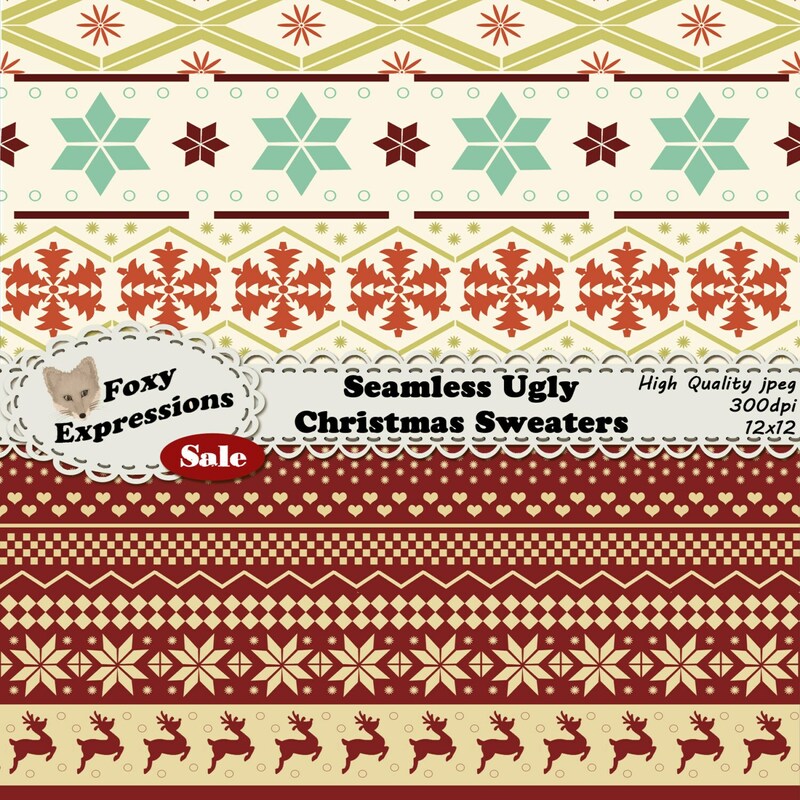 Seamlessly tiles together for easy use. 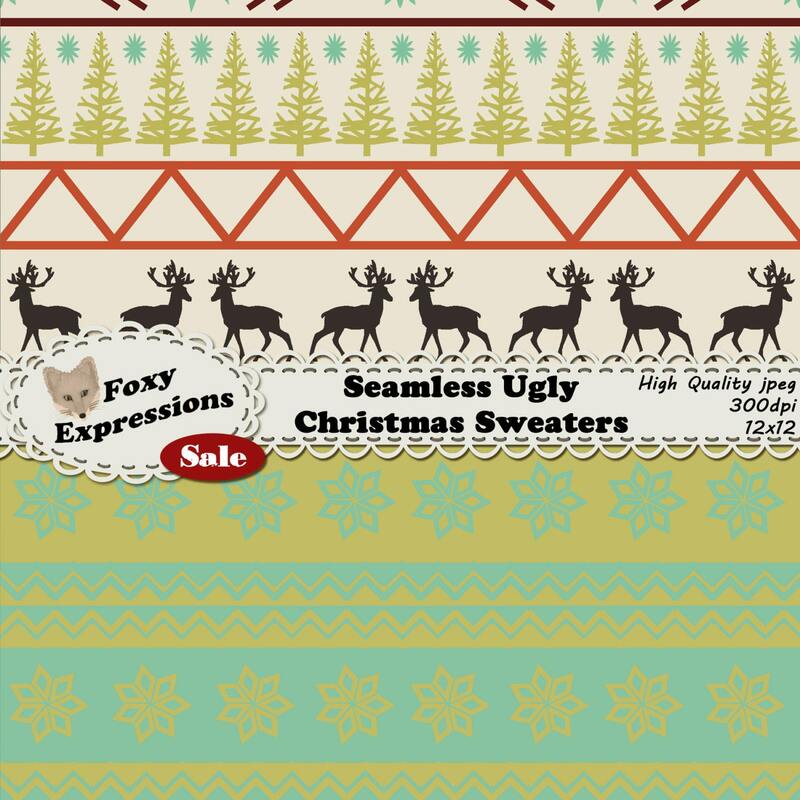 Designs include deer, hearts, ornaments, trees and snowflakes.